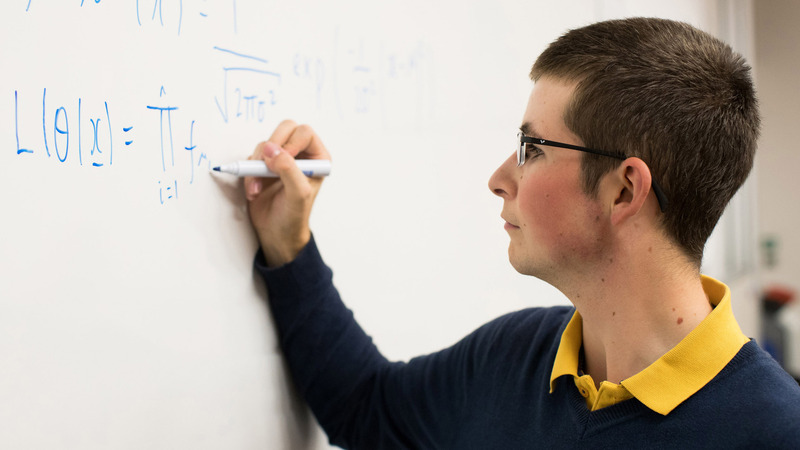 Gain specialist knowledge in pure and/or applied mathematics. You'll be prepared for a variety of technical and non-specialised careers. Apply the skills and knowledge to a year working in industry. You’ll be employed full-time in a role to match your future career ambitions. It will broaden your experience and transferable skills, giving you a competitive edge when applying for graduate jobs. 100% of Mathematical Sciences students said their placement helped them to develop their general life skills (National Student Survey 2017). We have links with some of the industry’s leading companies. Recent employers include Cancer Research UK, Porton Biopharma Limited, GlaxoSmithKline, Oxford Gene Technology, GeneSys and Medical Research Council Technology.